How do new genes appear? For more than a century, researchers have thought that, from time to time, new gene functions evolved after cells accidentally made a copy of one of their existing genes. According to this theory, the 'extra' gene copy could then evolve freely. In this way, it could acquire a new function, while the original gene ensured that the original function was retained. No direct observation supporting this theory has been reported so far. Now, however, researchers at TU Delft have observed this evolutionary mechanism in action for the first time in yeast cells. The TU Delft researchers were investigating the yeast species Saccharomyces pastorianus, which is used for the production of lager beer by brewers around the world. One characteristic of Saccharomyces pastorianus is that it can 'eat' the complex sugar maltotriose. In 2011, one of this yeast species' ancestors was identified which, it turned out, had not yet developed the ability to consume this complex type of sugar. Therefore, evolution must have conferred the ability to metabolise maltotriose. This evolutionary change makes the brewing of lager beer possible today. Genes are responsible for everything that cells can do. And to gain new functions, new genes are needed. But how do these new genes arise? The main theory to explain the occurrence of new genes is based on a mechanism called gene duplication. In this process, a cell accidentally makes a copy of a given gene. The cell's DNA then contains two copies of this gene. While the original function can be retained by one of the copies, the other can freely change following a different evolutionary path. If enough mutations occur in a gene copy, it can develop a completely new function. If that new function is beneficial to the organism, natural selection will very likely ensure that the mutated gene continues to exist. This evolutionary mechanism has been extensively discussed in scientific literature. By looking at related genes with different functions, scientists proposed theories on how these gene functions could have emerged. "By reasoning backwards from closely related genes, we were reasonably sure that the mechanism of gene duplication and mutation can give rise to new genes. However, no direct evidence had ever been found for it," explains researcher Arthur Gorter de Vries. For the purposes of this experiment, the researchers used yeast cells of the species discovered in 2011, which were unable to metabolise the large sugar molecule maltotriose. They irradiated millions of these yeast cells with UV light, causing DNA damage. This meant that the cells had to repair much more hereditary material than would normally be the case, which increased the chance of random mutations. The researchers then fed the microorganisms with wort, a sugar-rich substrate that brewers use to make beer. They gave the yeast cells only limited amounts of wort, forcing them to compete for what little food was available. The yeast cells quickly ate all the simple sugars. All that was left was maltotriose, so it became increasingly advantageous for yeast cells to develop an ability to eat this large and complex sugar molecule. And that was exactly what happened. "We suddenly noticed a drop in the amount of maltotriose," says researcher Nick Brouwers. So at least one yeast cell had found a way to consume maltotriose. The descendants of that one cell suddenly had a large quantity of food available, so they quickly outcompeted all the other yeast cells. The researchers isolated some of the mutated cells and analysed their genome to find out what had changed. "Normally, we find that only a small number of changes have occurred," explains Gorter de Vries. "In this case, however, a new gene had evolved. It contained large sections of DNA from three other genes." These other genes belong to a family of 'transport genes," which are responsible for transporting sugars present in the environment into the cell. 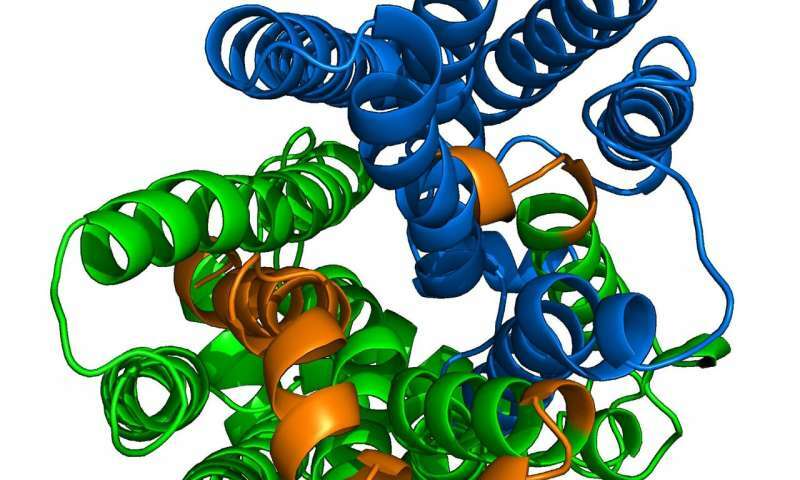 Like the other transporter genes, the hybrid gene makes a protein. That protein embeds itself in the cell membrane, forming a tunnel through which sugar molecules are transported into the cell. The DNA sequence analysis revealed that the new gene had been created by mutations in one of the duplicated transporter genes. This result is an experimental validation of the previously mentioned theory postulating that new genes can evolve if the cell accidentally makes a copy of an existing gene. "For us, the real surprise was how quickly the hybrid gene came into being," says Gorter de Vries. The newly evolved yeast cells have been tested and can, indeed, be used to brew lager. Beer that is brewed using this yeast combines the exotic flavours of wild yeast with the fresh taste of lager. Nick Brouwers points out that "Our new yeast did evolve in the lab, but no genetic modification was involved. The advantage of this is that industry could use our yeast without any problems." It's nice to have more tests, but since paralogs are a common occurrence we were not "reasonable sure" but felt we had tested "beyond reasonable doubt".